Let’s shake things up in West Queen West a bit and have some fun by rewarding the trivial amounts of knowledge you managed to cram in your cranium… or should we say, coconut? 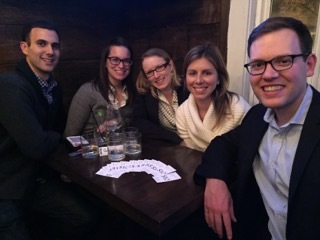 Last night at H Bar, we partnered with Quiz Coconut for an evening of wit battling. 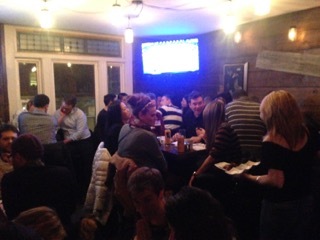 The bar was packed, the food ran plentifully, and the trivia was a hit. What’s different from Quiz Coconut: there are absolutely no cellphones allowed. Now that Google can be accessed in the palm of your hands, trivia night sometimes feels, well, trivial. Interested in participating? There will be a Quiz Coconut night every 3rd Wednesday of each month, hosted in different locations on West Queen West. The winner receives $150 and runner-up $50 gift certificates to the host spot. Let’s have fun this year. Stay tuned for the next trivia night location!